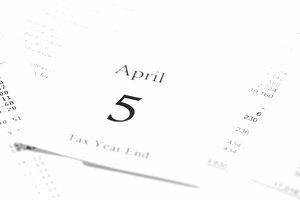 The term "tax year" when used in reference to personal income taxes, means the calendar year for which income taxes were withheld for earnings or the year for which an income tax return is being filed. The tax year you are filing for is usually the year prior to the year taxes are actually filed, which makes sense because the government needs to know what you earned between January 1 and December 31 on your tax return. For example, taxes prepared in March of 2019 would be for the tax year 2018. Pay close attention to the complete title or description of tax software when you buy it either online or in the store. Be sure the software is for the right tax year. If you need to, you can also buy tax software for past tax years as well. There's a good selection available for dependable tax software that you install on your computer as well as online tax software that is accessed through an internet browser. Both online and desktop tax software have advantages and possible disadvantages. It can be confusing to decide which version of tax software will work for your tax preparation needs because one company's basic or deluxe version does not necessarily have the same features as another company's product. Premium versions share the same base features, but some have additional perks that others don't. It's a rare find, but some tax software comes in just one version with all the features needed for just about any return. But, if you are considering software that is available in more than one version, you can get help with choosing. Compare the top free tax software options to find out what you really get with each. All software comes with accuracy guarantees, and most offer a highest tax refund guarantee as well as a state tax return, but usually at an additional cost. U.S. service members should look over the free tax software for military members. Tip: Free tax software is typically offered only as an option for new customers. If you used free tax software last year and you want to use the same software this year, you will probably have to pay for it, or you'll have to choose another free tax software to use this year to avoid charges.